Keen on hiking some mountains in Japan? 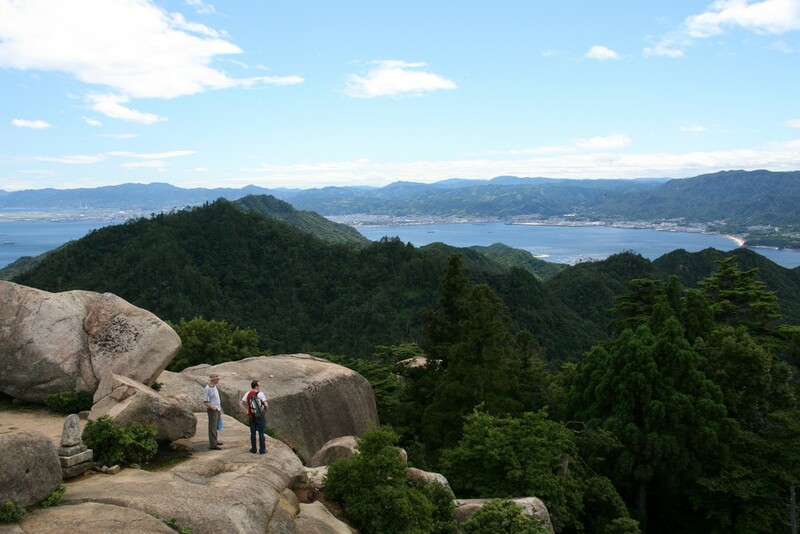 Try Mount Misen (弥山) which is located in Miyajima of Hiroshima prefecture. Mount Misen is one of the best spots to do some day hiking. One can reach the top in around 2 to 3 hours. From the top, you can see the Seto Inland Sea from above. It also has some stunning and weirdly looking rock formation that makes it even more marvelous to look at. Standing tall right behind the Itsukushima Shrine is the Mount Misen, the highest peak of Miyajima island at 535 meters above the sea level. It has been one of the travel destinations of Hiroshima. 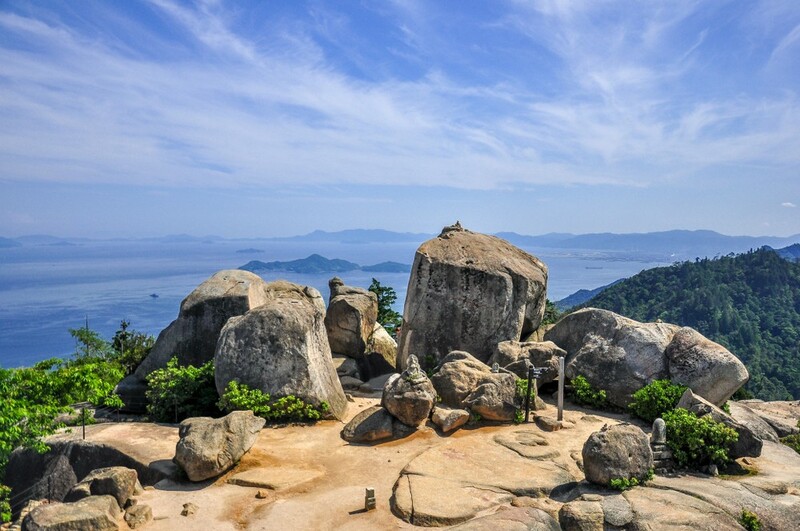 From the top of Mount Misen, visitors can feast their eyes on the beauty of the Seto Inland Sea from above, and not forget the beauty of the old forests covering Mount Misen. Mount Misen has interesting rock formation. A lot of rock formation can be found around the mountain, especially near the summit. The strangely shaped rock is created through the withering of Mount Misen’s granite surface by the work of nature. Some of the rock formations are too huge that it is impossible to be done by humans, and the people believe it is the work of their Gods. Mount Misen’s forest has one of the best autumn foliage views in Miyajima. 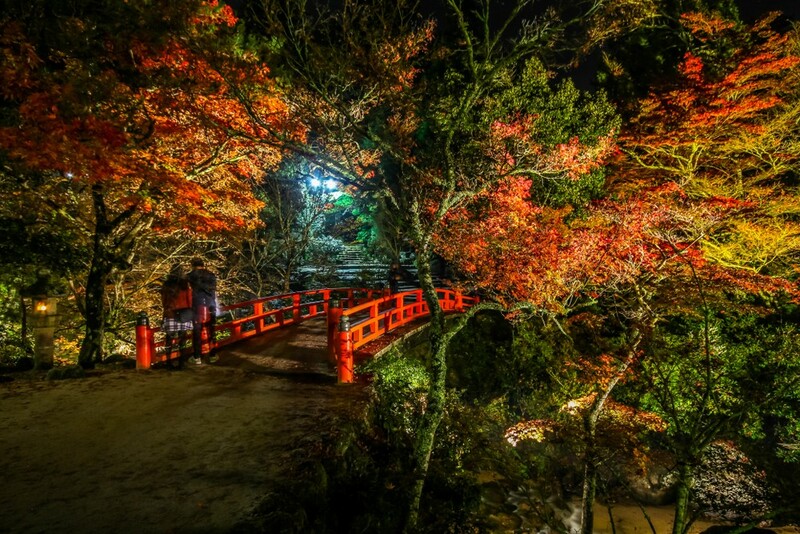 Right in between the Itsukushima Shrine and Mount Misen is the Momijidani Park. In mid to late November, the area will be filled and covered with brilliant autumn foliage, colouring the park with various autumn colours, by some 700 trees, including a variety of Japanese maple trees. Seeing lushes of red, gold, and a bit of green give a purely stunning view when you came here during autumn. 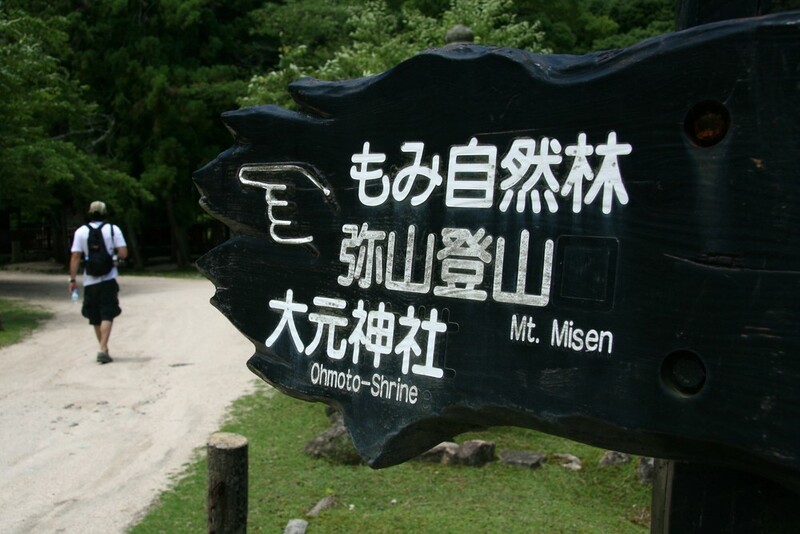 If you are into hiking, Mount Misen has three trails that lead up to its summit. Trekking through these routes offers you a various view of the nature of Miyajima as well as historical monuments that you can find along the path of the trail. Each of these routes has their own interesting spots to see, so choosing one is basically a personal choice, and not necessarily saying that one route is better than the other. The shortest route for about 2.5 km in length, but yet the steepest on the 2nd half of the trail, so spare your energy wisely. But regardless of that, this trail is especially beautiful in autumn, when the greens of the maple trees turn red. The trail with the gentle-most slopes compared to the other two routes with a distance of 3 km in length. Trekking through this trail, you will come across Takinomiya Shrine and also the Shiraito Fall. 3.2 km in length, this trail runs through another park and forest. The Omoto Park is where there are 100 years old fir trees, and Komaga Forest is the 2nd largest forest on Mount Misen. This route also offers you a lot of unique rock formation along the way. 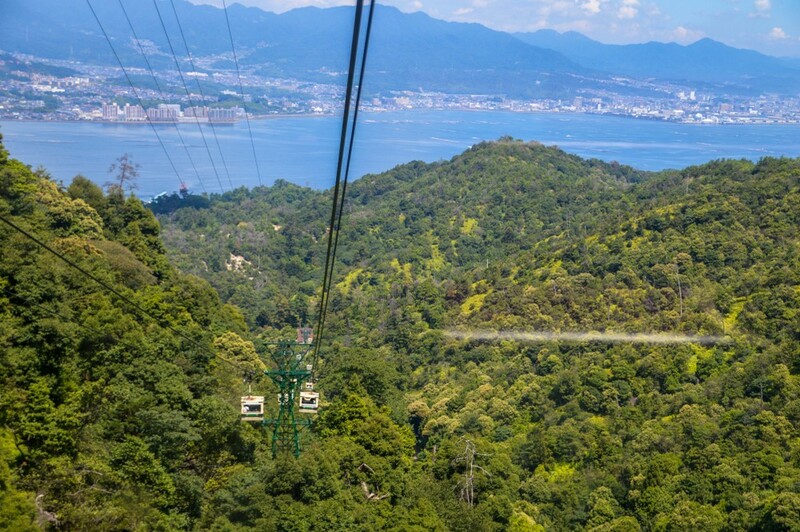 If you doubt about your hiking abilities, you can also opt to ride on the Miyajima Ropeway and cut short the time needed to reach the peak of Mount Misen. 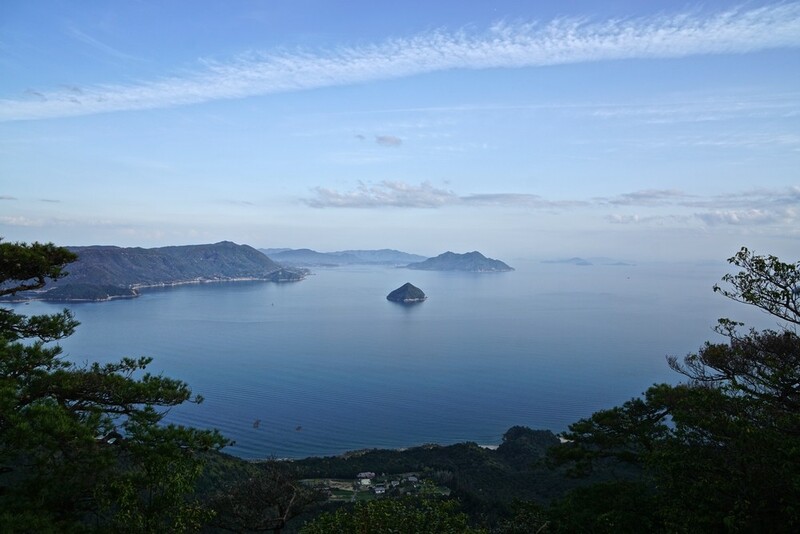 But upon reaching the last ropeway terminal on top of Mount Misen, you would still need to do a little more climb to reach the top, but the stunning view at the area after the terminal will keep you busy from feeling tired. It is also a good idea to take the ropeway to go ascend and walk your way down via the hiking trail, or vice versa. That way you can enjoy both the view from above and the trekking experience.